On Saturday April 26th, Bay City Electric Light & Power (BCELP) participated in Clean Up Bay City, the City of Bay City’s annual Earth Day Celebration. 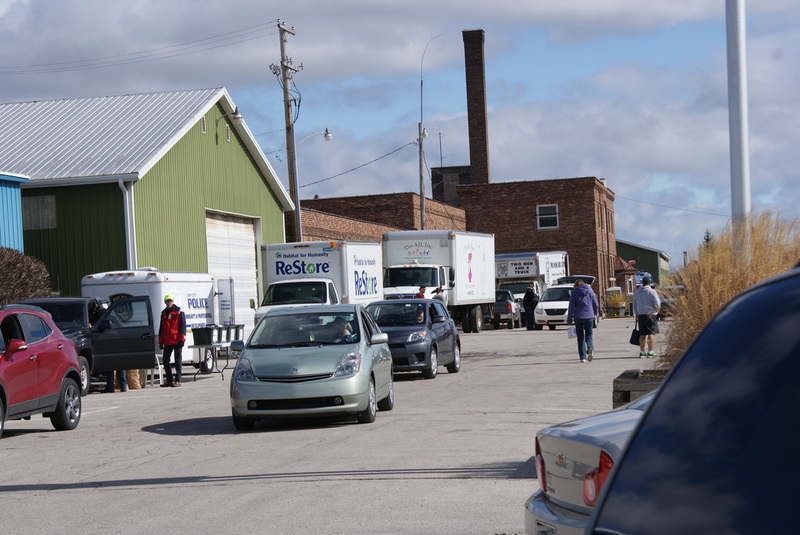 At the event there were multiple organizations gathering and recycling materials from Bay City residents including Do-All, Inc., Two Men and a Truck, Great Lakes Bay Recycling, the Prisoner Knitting Program, and more. 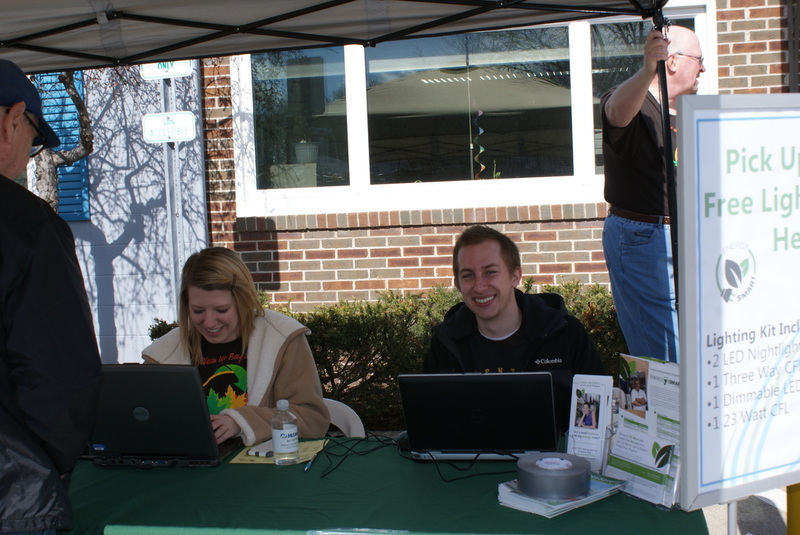 BCELP partnered with ReLeaf Michigan, a statewide no-profit tree organization, for the Earth Day celebration and sold a large variety of trees and shrubs to the residents of Bay City for their annual fundraiser. Along with Releaf Michigan, BCELP’s line clearing staff and volunteer organizations held free pruning seminars for Bay County residents. Additionally the City of Bay City gave away free compost at Veterans Park that resulted in goodwill donations of $2,182 to offset the Northeast and Southwest Little League water usage. Bay City Electric Light & Power gave away free efficient lighting kits to their customers as well as offered rebates to customers who recycled old dehumidifiers and room air conditioners. In total 235 free light kits were given away; totaling 470 CFLs, 235 LEDs, and 470 LED nightlights. 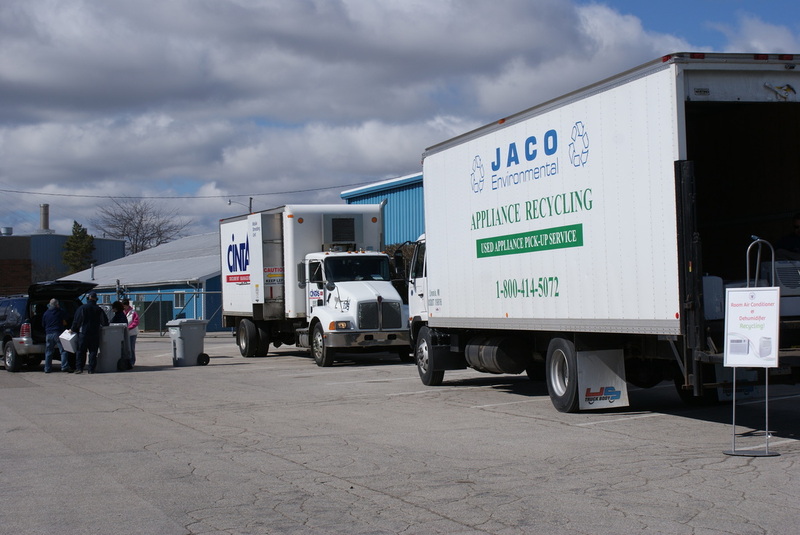 JACO Environmental collected 17 room air conditioners and 24 dehumidifiers on BCELP’s behalf. The customers who dropped off the units were rebated $15 per dehumidifier and room air conditioner; in total $615 was rebated to BCELP customers for this event. This event is estimated to have brought 72,044 kWh savings to BCELP’s Energy Optimization Program. This year BCELP’s Energy Optimization Program met their efficient lighting goal, for the entire year, in mid-April! BCELP offers its residents a number of other energy saving programs as well. This list includes Appliance Recycling, the Refrigerator Swap Program, the Helping Neighbors Program and Home Rebates. Not a Residential customer? BCELP deals programs for their commercial and industrial customers as well. These programs include Small Business Direct Install and Business Rebates.